Bold lines, rich tones, and an impressive silhouette. 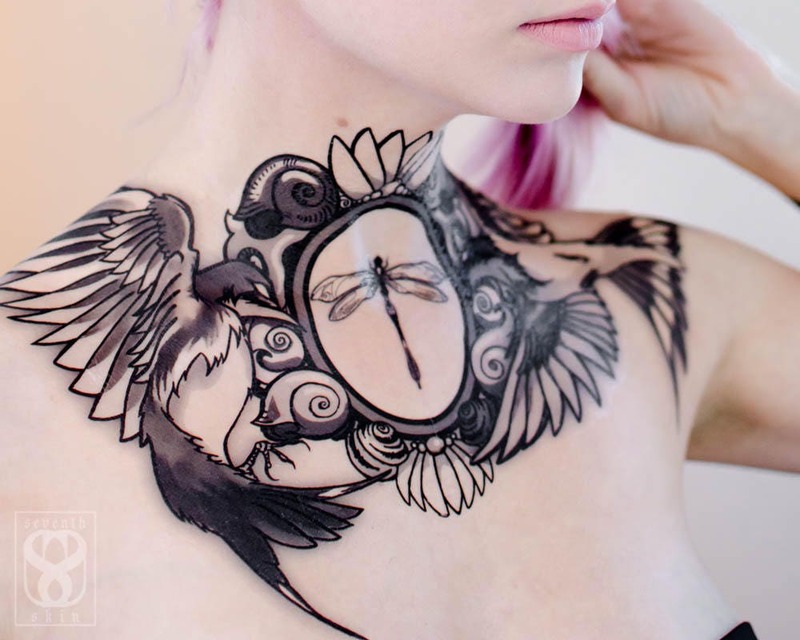 This tattoo set really makes a statement! 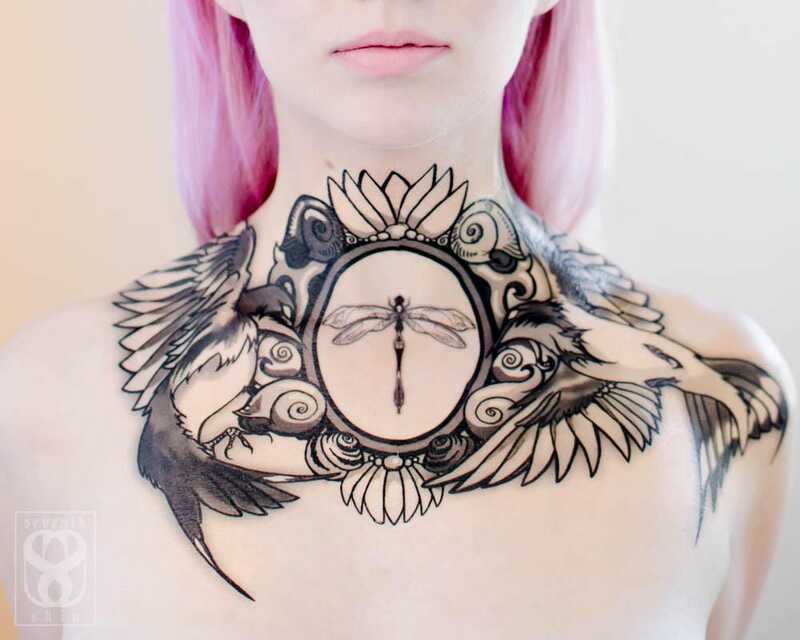 I was inspired by traditional swallow tattoos, and wanted to create something elaborate and striking. 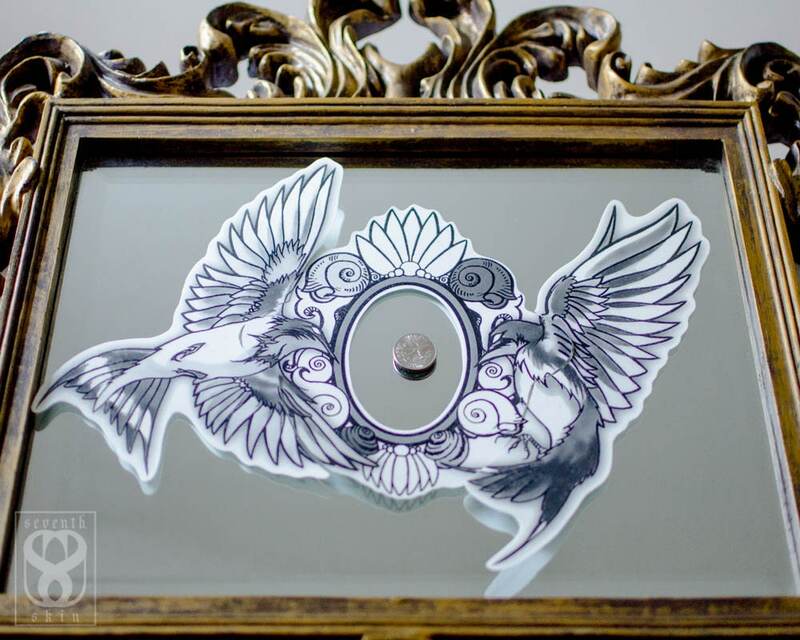 If you would like a more traditional look instead of a chest piece, the isolated birds are available in two sizes and orientations on another listing. This set arrives in four parts: a center frame, two bird sections, and the small center tattoo of your choice. 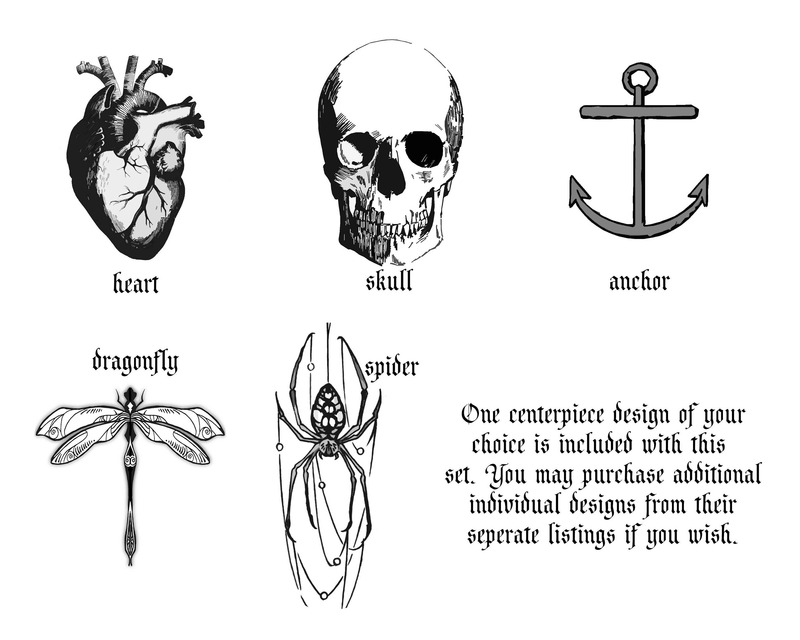 One center tattoo is included with your purchase, and additional ones may be purchased if you like from their corresponding listings.